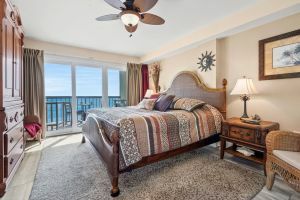 Vacation in a luxurious oceanfront rental condo with excellent amenities, spacious interiors and a quiet atmosphere. 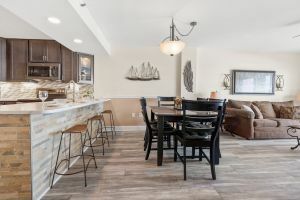 The Sea Marsh II 403 beach vacation rental condo is gorgeous and recently renovated. 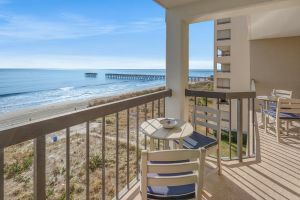 This unit has a beautiful view from the 26-foot oceanfront balcony that is accessed from the living room and master bedroom. 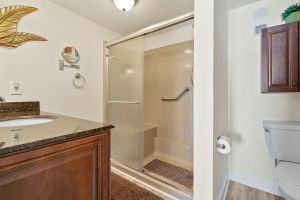 Three bedrooms and three baths are ideal for up to eight people to enjoy during their stay. 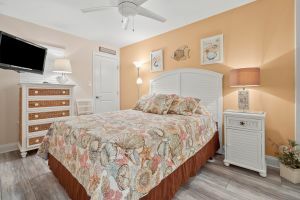 The master suite is decorated with a Tommy Bahama king size bed and is wrapped in tropical accents. 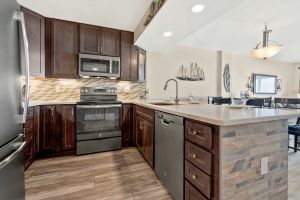 Check out the kitchen of the Sea Marsh II 403 beach vacation rental condo as it is gorgeous, too. 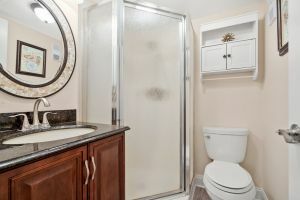 Granite countertops, tile floors and stainless-steel appliances are perfect for this beach vacation rental condo. 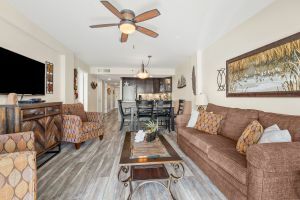 There are flat-screen TVs throughout the Sea Marsh II 403 beach vacation rental condo and high-speed Internet access, too. 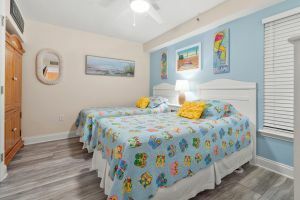 The Sea Marsh II beach vacation rental condo features an indoor swimming pool so you can swim laps, splash with the kids and take a quick dip before visiting the white sandy beaches that stretch out in front of this oceanfront resort. 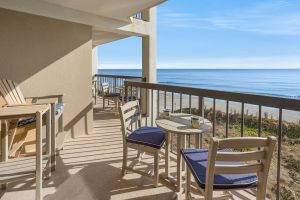 Myrtle Beach, SC championship golf courses, award-winning restaurants and live entertainment are only minutes away in North Myrtle Beach, South Carolina. 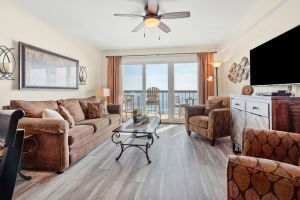 The Sea Marsh II 403 beach vacation rental condo is a vacation destination that is nestled in a pristine location just blocks from North Myrtle Beach, SC amusements and Myrtle Beach, SC attractions.